For our 2001 display, we wanted to add something to commemorate the lives lost in the September 11 tragedies, as well as those lives lost in the fight to end the threat of terrorism. Originally Tim was thinking of creating some sort of animated display which included a flag and the text “God Bless the USA”. However, these plans fell through due to time and budget constraints. 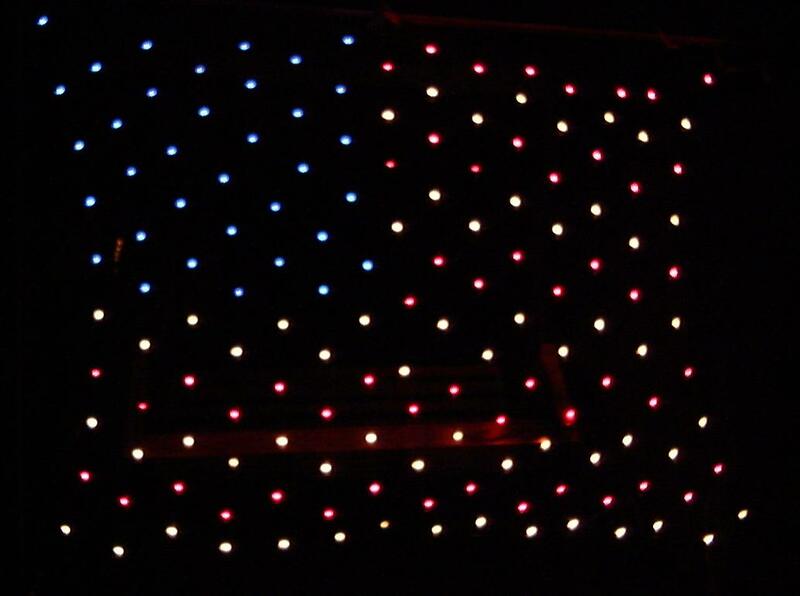 However, we had seen a picture online of an American Flag made out of a 4×6′ net light. As luck would have it, we had purchased a clear 4×6′ net light after Christmas the previous year. 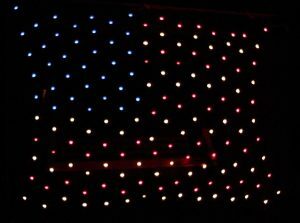 So we bought a set of red and blue lights, and the two of us switched out the appropriate bulbs to create the flag pattern. Even though it’s not 100% accurate (hint: count the stripes on the flag), it looks nice, and only cost us about $6 and an hour’s worth of time to create. This flag was used through the 2006 season, and it was really beginning to show its age. 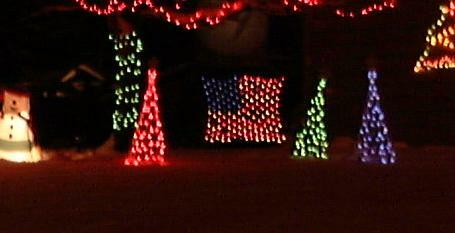 We wanted to keep the flag as a part of our display, so we retired it and created the new LED Flag.